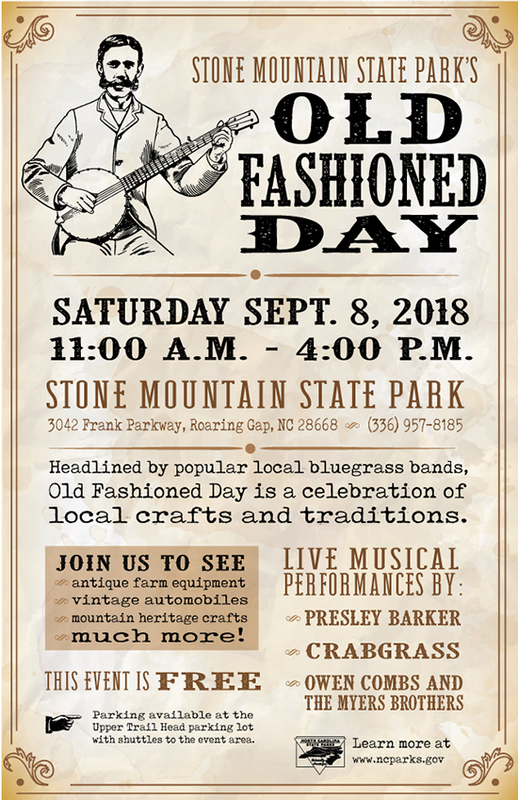 Come out and join us for our annual Old Fashioned Day event at Stone Mountain State Park! The event will be held in the picnic area on September 8, 2018 11 a.m. to 4 p.m. 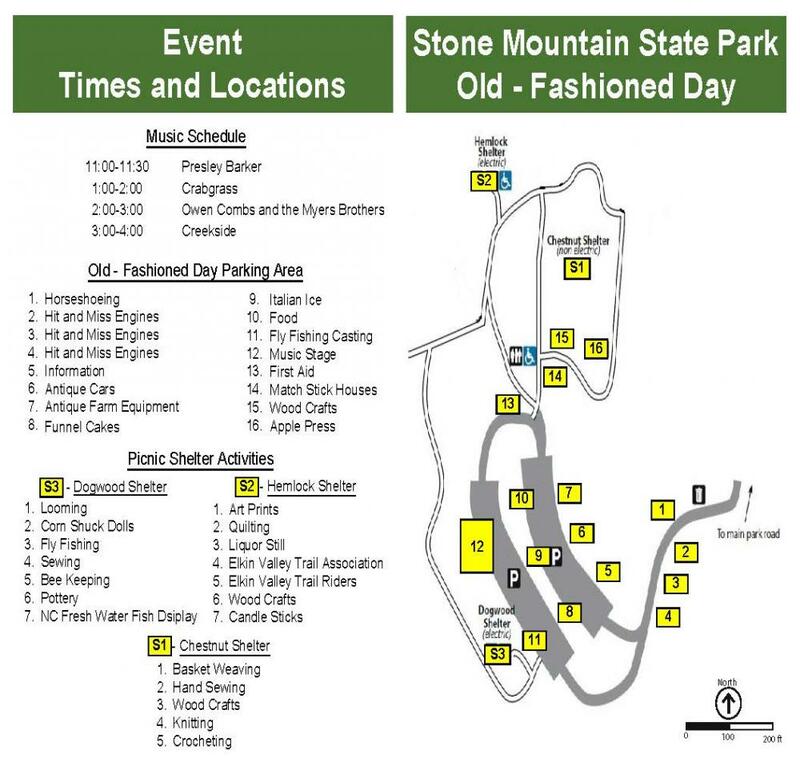 Parking is avaiable in the Upper Trailhead Parking Lot for Old Fashioned Day with a shuttle to the event area. Hope to see you there to enjoy music and old time traditions, with food and crafts available for purchase!